Thoughts from our Founding Director and other invited contributors. This blog was founded to provide unique insights on the issues more important to the students, faculty, and community at Western Carolina University as well as to give some perspective to the goings-on at CSFE. Enjoy! Here recently, the students of Future Business Leaders of American-Phi Beta Lambda have been sharing a lot of their successes—and rightly so. These students are outstanding in more ways than I can enumerate here. But during a recent chat with her, I learned that Lindsey Elias, the current President of the WCU chapter of PBL, would be running for State President. Ever humble, Lindsey almost blushed when she told us. Not only are we incredibly proud of her and all that she’s accomplished, but we’re honored to be able to support her and the rest of the PBL students here at WCU. A great group of hardworking, humble, and dedicated professionals who will, no doubt, go on to be outstanding leaders in their communities. Our latest support helped 11 FBLA-PBL students to travel to Charlotte, NC for their state leadership conference where Lindsey was voted into her new office, and where they were able to compete in business related competitions, many of whom did well enough to qualify for the national competition to be held in San Antonio, TX this summer. Below is a list of all the competitors, with those going on to the national level listed in bold. For more information about PBL, visit their website or Facebook page. This week has been exciting for us at the Center for many reasons, but I am most excited about the launch of our Issue Brief Series. Since we launched CSFE, our mission has always been focused on students, faculty, and community. Our Issue Brief series, I hope, will hit all three areas. 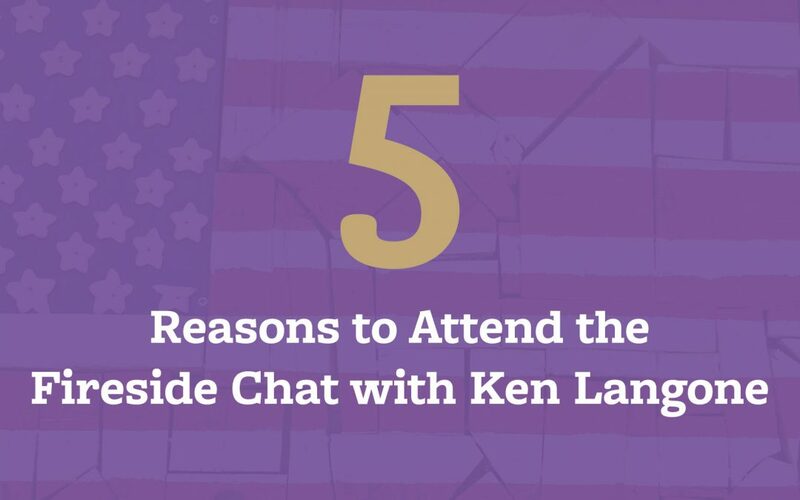 Not only will it give students and our community, a chance to engage in the issues that are most important to improving our region and state, but also, I hope it will give faculty members at WCU an outlet to broadcast—and amplify—the good work they do on a daily basis. 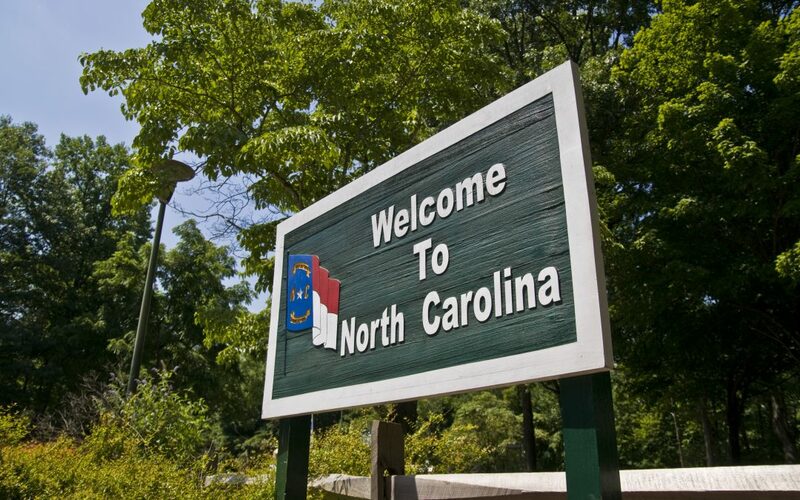 For the launch of the series, it seemed fitting to invite my friend Craig Richardson to write the inaugural brief, “Why is Economic Mobility So (Surprisingly) Low in North Carolina?” Dr. Richardson is a BB&T Distinguished Professor of Economics at Winston-Salem State and the Founding Director of the Center for the Study of Economic Mobility (CSEM). Working with Dr. Richardson has improved the reach of both centers. Last semester, he presented his film, “Bus Stop Jobs” to an eager group of students during one of our Free Enterprise Speaker Series, and this April I will be traveling to Winston-Salem to present on another important issue to this state, affordable housing, during their Economic Mobility Summit. Craig has a long-standing interest in improving the lives of the underserved in North Carolina—a goal that I (and the rest of the staff at the Center) also share—and my hope is that our continued collaboration, lately exemplified though the release of this first Issue Brief, continues to help us be fierce advocates for helping the people of this state to improve their lives step-by-step. The Center for the Study of Free Enterprise is excited to extend our congratulations to Jonathan Holden on his completion of the President Level of the Career and Membership Achievement Program (CMAP) in Phi Beta Lambda. CMAP is a comprehensive individual membership recognition program encompassing PBL projects, goals, and programs with a special emphasis on career development and preparation for the world of work. 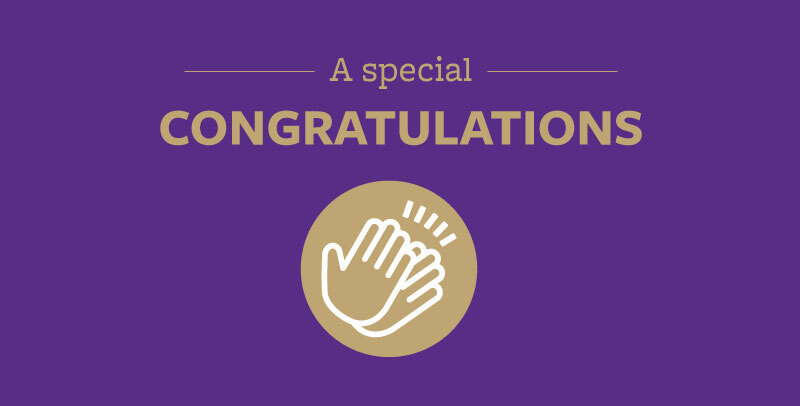 At CSFE we support the Western Carolina University Chapter of Future Business Leaders of America – Phi Beta Lambda because we believe in the work that their organization does; but perhaps more importantly, because of the students that are involved with it. Students who, like Mr. Holden, believe that learning doesn’t just happen in a classroom and that success tends to come from long hours of dedication, perseverance, and hard work. Mr. Holden will be recognized in July at the National Leadership Conference. In April, members of FBLA-PBL will travel to the state leadership conference where they will compete in a number of different business decision-making competitions. In 2018, WCU teams did very well at both the state and national competitions. For more information on PBL, click here and join them on Facebook as well. 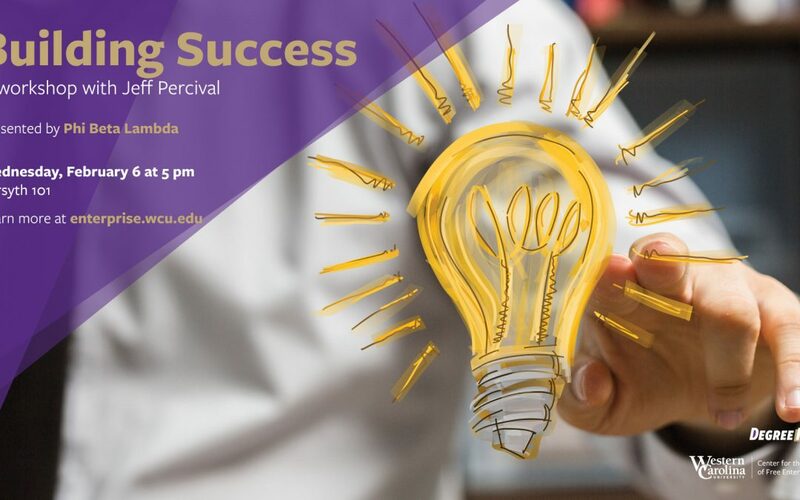 As President of Future Business Leaders of America – Phi Beta Lambda, I’m excited to both welcome Mr. Jeff Percival to WCU, and to partner with the Center for the Study of Free Enterprise. This semester, FBLA-PBL has devoted this semester to professional and personal development which is where Mr. Percival comes in. With his experience, we hope to learn the key to building our professional and personal development based on oneself. He makes you ask the questions you normally wouldn’t, and focus on the smaller details in order to see the bigger picture. Mr. Percival’s philosophy is that “Ideas are wonderful but worthless unless you use them,” so not only will we get the chance to hear from Mr. Percival, but he will give us the opportunity to put what he teaches to use. We are excited and thankful for the opportunity to partner with the CSFE for the Building Success event with Mr. Jeff Percival. We are grateful for Mr. Percival’s time he is taking out of his busy day to come speak and share his knowledge with our peers and future and aspiring business leaders. If you’re a student or someone in the professional workplace and you’re interested in joining PBL, please contact phibetalambda@email.wcu.edufor more information. Lindsay Elias is a sophomore at Western Carolina University where she double majors in Accounting and Finance with a concentration in Financial Planning. After graduation, Lindsay plans on taking the Certified Financial Planner exam and pursuing a masters of Accountancy, with intentions of one day owning her own business. She is the current President of the WCU Chapter of FBLA-PBL. We’ll occasionally use this blog to catch up with folks who have worked on past Center-supported projects. 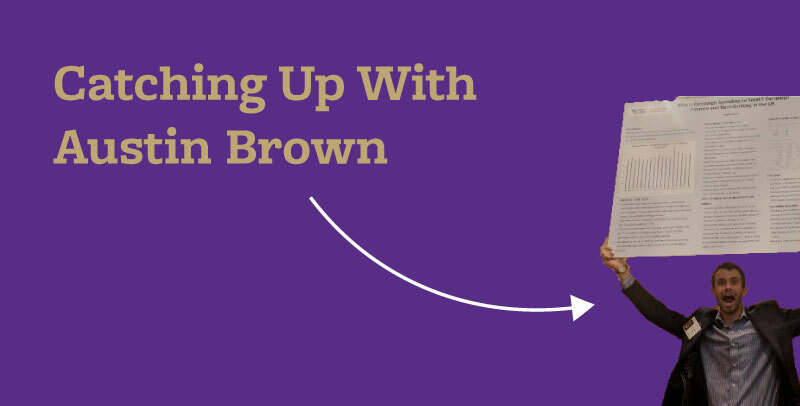 In this post, we catch up with Austin Brown. So, long story short, Austin spent the following academic year as CSFE’s inaugural participant in our Post-Baccalaureate Fellows Program. This program bridges recent WCU grads to doctoral studies. * Starting in Fall 2017, Austin worked under WCU economics faculty developing research skills while taking a couple of extra math courses, researching doctoral programs, and writing applications. In Spring 2018 he presented research at a professional conference and made site visits to select graduate programs. By the end of the year, Austin was fielding competing offers from graduate programs and chose the Ph.D. in Entrepreneurship program at Baylor. Check out our podcast together for more about his year as a post-bacc fellow. Here’s Austin presenting (with gusto!) at the 2018 annual meetings of the Association of Private Enterprise Education. Now that Austin has completed his first semester of doctoral studies, we wanted to catch up with him. Q1: Welcome back, Austin. So what’s been going on since you wrapped the Post-Baccalaureate Fellows Program last May? Thanks for having me back, Dr. Lopez. 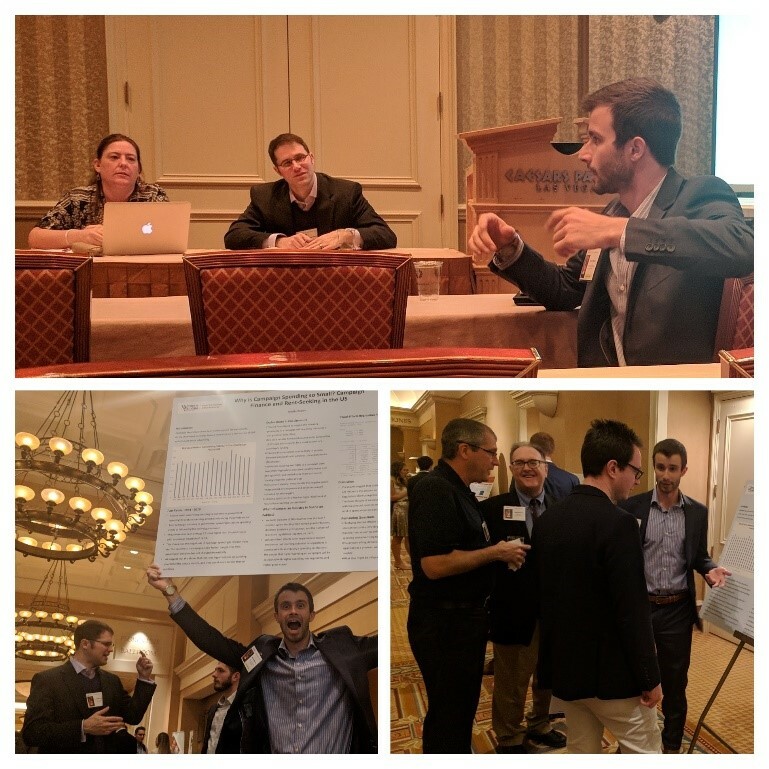 After wrapping up the Post-Baccalaureate Fellows Program in May, I spent the summer hopping around research workshops and seminars before taking off for the flatlands of Waco, Texas. I started coursework at Baylor in mid-August. In addition, I’ve been independently researching topics of interest, and participating in Present Your Ph.D., a community outreach program that has allowed me to visit schools and talk to K-12 students about entrepreneurship. My second semester is now underway, which with it bring courses in strategic management, causal inference, and teaching in higher education. Q2: Why a Ph.D.? What do you want to do when you “grow up”? A Ph.D. interested me because of the doors it opens. First off, it’s the only surefire way to land a job as a professor. I love teaching and provoking someone’s curiosity, and getting a Ph.D. opens that door for me. On top of that, a Ph.D. in any discipline is a research degree. You learn to seek out the information surrounding a question you have, and subsequently produce an articulate answer to it. Learning to do this equips you with tools to apply in any setting with a problem to solve. Q3: Tell us a little more about your first semester as a Ph.D. student. How would you describe it? You get exactly what you put into it. I mean, if someone just wants to jump hurdles for 4 years and get the degree, they can do that. Seems pretty unfulfilling, but it’s an option. But if you have ambition to practice your craft and refine your ideas, a Ph.D. offers you the chance to do that; to create additional hurdles on your own. The time and effort you choose to allocate to the exploration of ideas determines your development as a thinker, and you have full autonomy in that decision. It’s a lot like exercise. No one keeps you from taking shortcuts, and if you choose to take them, shrug off the extra effort, and fail to challenge yourself, you hinder your outcomes. Q4: You left WCU with an interest in studying the wine industry. Has your first semester of Ph.D. work broadened and/or deepened your research interests? I would say my research interests have broadened pretty considerably. My interests in wine production haven’t dropped off, and I have every intention to involve myself in production again when I have the means to do so by my own standards. I want to make natural wines, and I’d like it if other producers did the same. But academic publications aren’t the place to push that agenda. Those ideas are better suited for a book or consulting work. And I’m content with this. Also, I feel that I can do impactful and fulfilling academic research beyond wine. For instance, I’m currently working on a project investigating the transfer of university discoveries to entrepreneurs. And longer term, I’m developing an interest in studying entrepreneurship under conditions of poverty. Q5. Very cool. Last question. What advice do you have for a third-year undergrad who wants to pursue doctoral studies? I’d offer three pieces of advice here. First, make a point to sit down with at least three professors in the areas of study you want to pursue and talk to them about your interest. They can connect you with a broader network of academics, help you identify programs that satisfy your interests, and perhaps most importantly, write you a letter of recommendation. Make sure you develop relationships and maintain them, because these professors can help you get in to grad school, find a job later on, or become a research coauthor. Second, do not count on these professors for everything! No matter what you think, they are busier than you. They also don’t have the answers to all of your questions, nor should they. This is your decision, and thus it is your responsibility to seek out information. You should expect to figure out who to get in touch with at respective programs on your own. You should also try to learn more about your field of interest; find out what the top journals are, look at the work that has been published in the past few years, and make sure the topics interest you. Ask your professor if they know a current PhD student you can bother instead of them. Aspirational as you may be, you will not rewrite the agenda of a field of study in your dissertation. Allocate a few hours a week to investigating your interests thoroughly, because you are only doing yourself a favor. Build a routine of reading and writing. Your studies will demand that you become an efficient reader and effective writer. You will benefit if you start practicing now. You don’t have to show up with a published article or brainstormed dissertation. But expect to need to be able to read (and process) at least 100 pages a week. Even if you’re practicing on non-academic writing, reading daily will make you improve. And as for writing, you have to communicate your thoughts concisely and logically. I was the student that started writing papers the day (or perhaps sometime night) before they were due. This simply won’t fly if you want to put out quality work. When you write, make sure you know your first attempt is a draft. Let it sit for a day, don’t touch it at all, then come back and edit it. As a Ph.D. student, writing is mostly a process of revising and editing. You have an initial idea, you put it on paper, and then you spend the next weeks, months, or years (depending on the idea) refining it. Get used to it now, that way when you start your PhD, you are ahead of the curve. You (and your advisor) will thank you. * By the way, we have extended the Post-Baccalaureate Program to fourth-year students too, and we’ve renamed it the Pre-Doctoral Fellows Program. 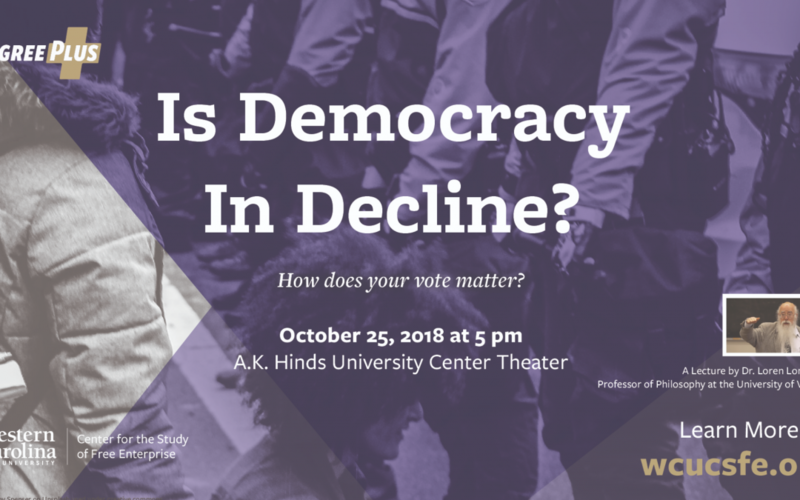 In the next installment of WCU’s Free Enterprise Speaker Series, philosopher Loren Lomasky, a self-described Churchillian democrat, will dissect how political mis-information and a polarized populace can adversely affect election outcomes, and what to do about it. The ballot booth can be a place for expressing lofty morals, but it’s also a place for venting animosities. Political candidates and party leaders, experts in their alertness to this feature (ahem, bug? ), will maneuver to win votes by appealing to the emotions that bubble to the top during campaign season. Power and policies ensue. Loren’s concerns accentuate the importance of imposing republican structures upon democracy as an antidote to demagogue disease. Good old fashioned checks and balances, multiple layers/nodes of elected office, and other mechanisms of limited government, please answer the white telephone. Winston Churchill is calling. About Loren Lomasky: Loren Lomasky is Cory Professor of Political Philosophy, Politics, and Law and the University of Virginia. Professor Lomasky is best known for his work in moral and political philosophy. His book Persons, Rights, and the Moral Community (Oxford University Press, 1987) established his reputation as a leading advocate of a rights-based approach to moral and social issues. He is also co-author of Democracy and Decision: The Pure Theory of Electoral Preference (Cambridge University Press, 1993), a landmark work about the effects of voting in democracies. In his 2016 article, “Fleecing the Young,” Lomasky makes the case for more intergenerational fairness in U.S. budget policies that currently enrich older generations while handing young people the bill. For more than four decades, Lomasky has taught undergraduate and graduate classes in the philosophy of religion, medieval philosophy and other episodes in the history of philosophy as well as many topics in moral and political philosophy. He has held research appointments sponsored by the National Endowment for the Humanities, the Center for the Study of Public Choice, the Australian National University, and the Social Philosophy and Policy Center. 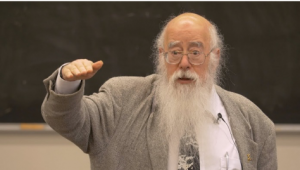 He has been the recipient of many awards including the American Philosophical Association’s Matchette Prize for the best book in philosophy. Welcome to the Director’s blog here on the CSFE website. Even a few minutes of browsing will show that there is a broad range of content on this site. This breadth reflects the Center’s tremendous growth since launching in early 2017. After its first year and a half, nearly 100 people have participated in Center-supported projects, and student attendance at Center events is approaching the 1,000 mark. In our first complete academic year, we built a range of programs from scratch, including our successful teacher-training seminar last April, the new University Distinguished Speaker Series launching this fall, and more. We also expanded pre-existing programs such as the Free Enterprise Speaker Series now in its eleventh year. And we’re just getting started! As we continue to grow, we will be guided by the principles of academic freedom/responsibility, intellectual humility, and the rules laid out in our governing documents. These include the charter that WCU’s Board of Trustees unanimously approved to establish the Center, the Center’s bylaws, and policies of WCU and of the UNC System that govern centers and institutes. At its core, the Center’s mission is to support student-faculty projects that advance economic development and promote understanding of free enterprise. Free enterprise is a broad term that encompasses many sorts of voluntary association, both in market settings and in civil society. This blog will “unpack” the meaning of free enterprise over time. For now, I want to stress that free enterprise does not mean pro-business, nor does it mean anti-government. These simple characterizations bypass a true understanding the capacity, and limits, of free enterprise to contribute to a flourishing society. If anything, free enterprise means pro-freedom — namely, the freedom for all people to compete in markets and cooperate in civil society. An important example is the recent Supreme Court Case, North Carolina State Board of Dental Examiners v. FTC, and a related case Sensational Smiles v. Mullen. At issue is whether: a) prospective dental service providers should have the right to offer teeth-whitening services without a dental license; or b) incumbent dentists with licenses should be granted the exclusive right to offer teeth-whitening services. Taking a pro-business stance does nothing to resolve this issue, because you’re left with the dilemma of choosing between two business interests, incumbent firms or new entrants. Likewise, being anti-government misses the whole point because regardless of which side wins, it is a government court that decides the issue, and it is the administrative arm of government that enforces the ruling. The free enterprise perspective takes a more holistic and coherent approach. Free enterprise does not pretend that businesses are heroes or that government agents are wizards. As I wrote in my first published article back in 1997, it is more useful to assume that businesses will attempt to restrict their competition by monopolizing markets (as Adam Smith taught in 1776), even if many principled business people would not do so. And it is more useful to assume that government agents will misuse power, if only because they lack the contextual knowledge and incentives to use if toward the desired social end. Indeed, both of these arguments were brought forward in the recent dental licensing cases, which is one reason courts had such a hard time ruling on them. Instead, free enterprise asks: given the desired end of balancing the state’s legitimate interest in protecting public health and safety against the people’s freedom to participate gainfully in markets and civil society, what are the best rules (i.e. what are the best institutional arrangements) to channel individuals’ pursuit of their own well being toward social betterment? 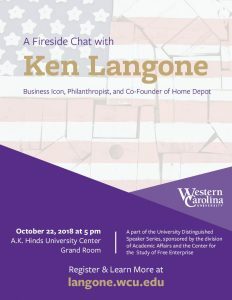 I started the Center for the Study of Free Enterprise to bring this perspective forward, to support research and education projects into the many ways of posing this question, and to help fulfill Western Carolina University’s commitment to supporting economic and community development in the state, the region, and beyond. Critics have said that I am just putting nice window dressing on a hard-core free-market agenda. That’s a hasty reaction. Instead, intentionally render the Center’s agenda in a centrist because the Board of Trustees established CSFE as a University wide Center, and one goal that I have as Director is to include projects from all five colleges and every major on campus. I aim to use this blog to highlight these projects, and I hope readers come back frequently for updates. Thank you for coming.